A gorgeous passport cover made from a beautifully tactile metallic leather. Easily personalised. Made excusively for BeGolden. 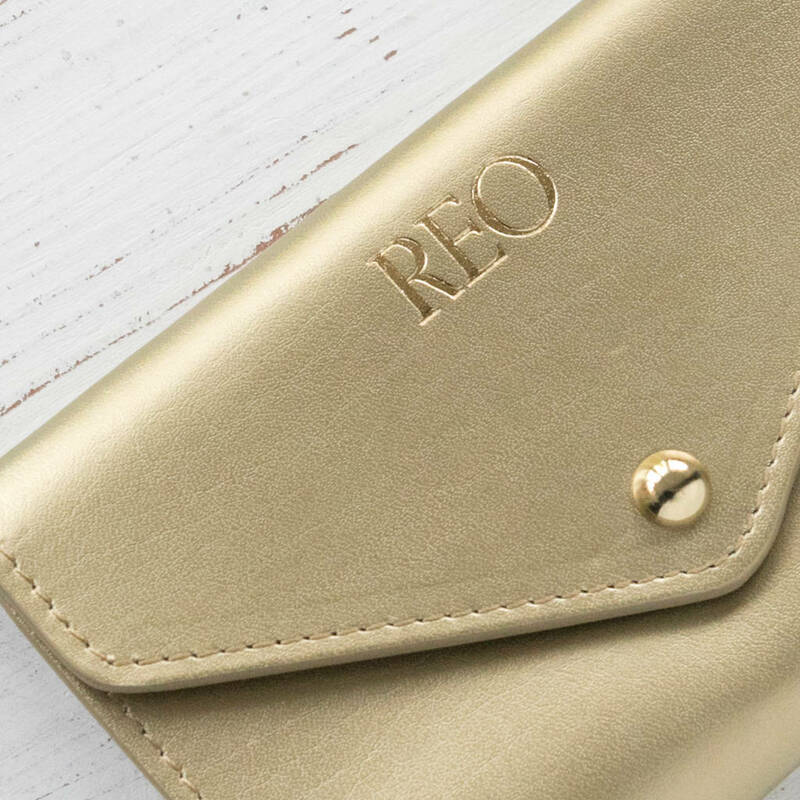 This luxurious leather passport cover is both practical and beautiful - a winning combination! Perfect for taking with you on holidays, weekends away and mini breaks. 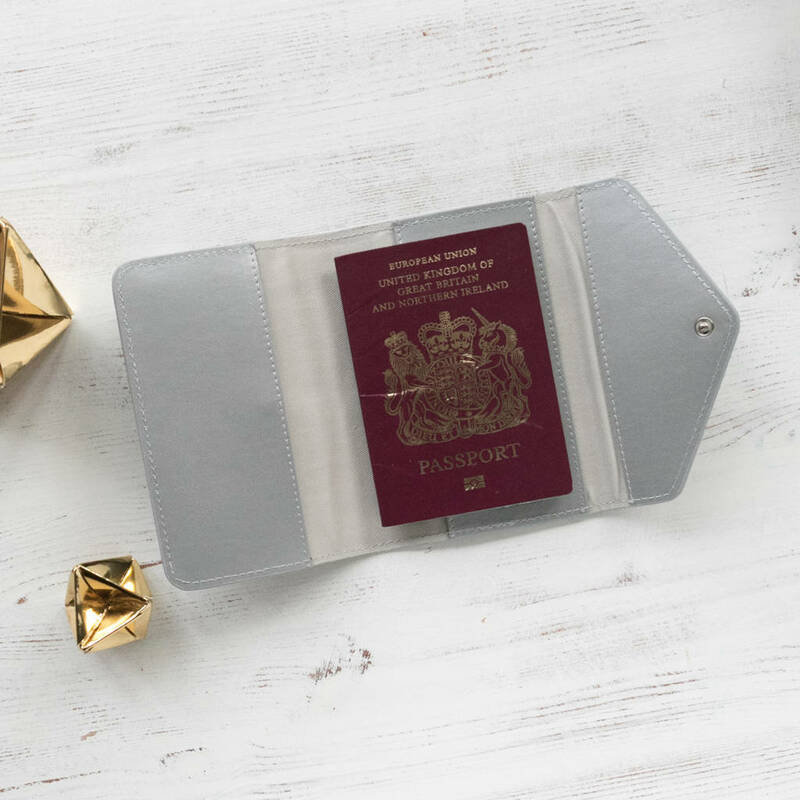 This leather passport cover has a fold out design that reveals one side which is perfect for holding a passport and then another section just right for tucking away your folded boarding pass. 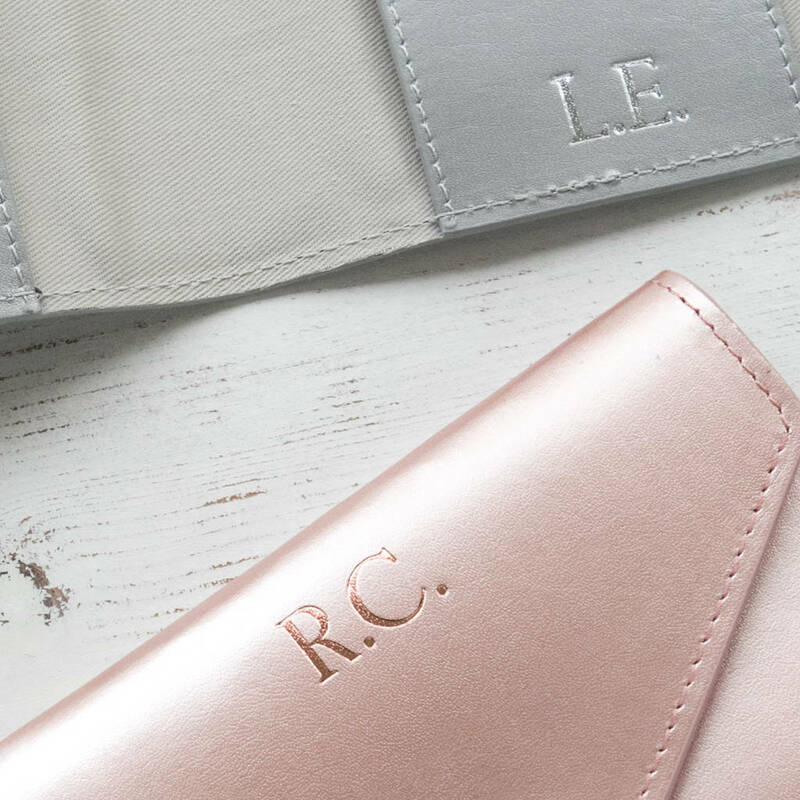 Make it a really special and thoughtful gift by adding personalisation of initials - positioned on the inside or on the front of the passport holder. The personalisation, maximum 6 characters costs an additional £8. 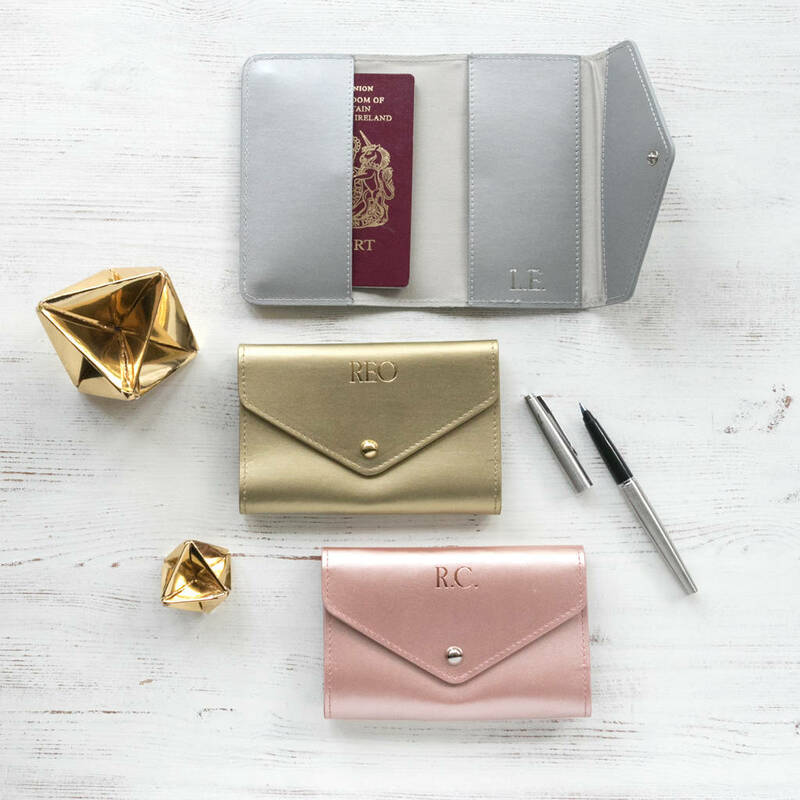 Travelling should always involve a bit of glamour and these metallic passport cases fit the bill perfectly. 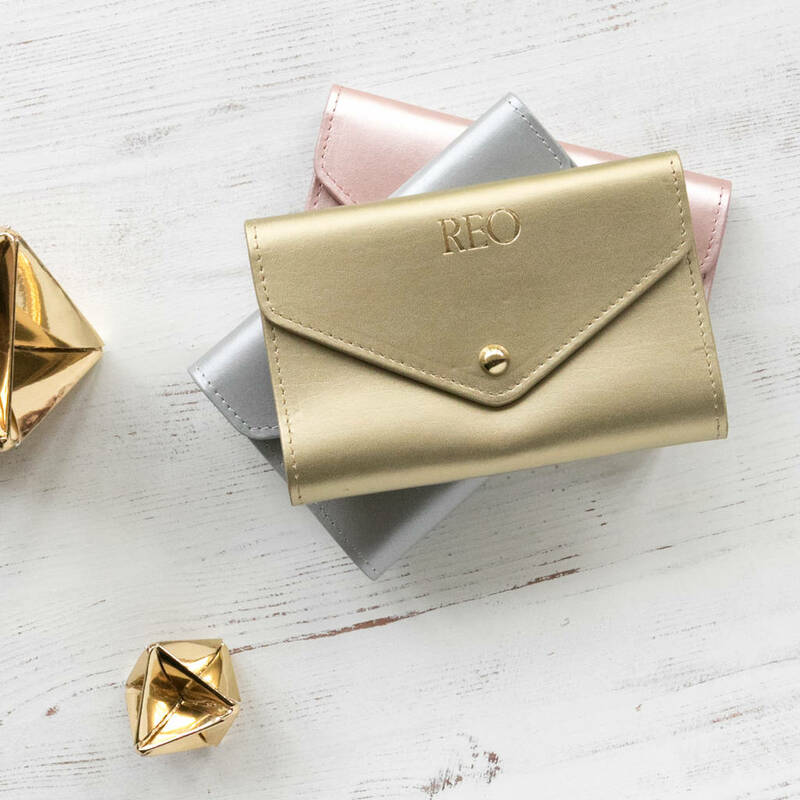 Available in rose gold, silver and gold. Personalised with up to six initials. This leather passport cover is beautifully made from premium recycled leather. Other matching accessories ( make up bag, travel wallet, journals) are also available. 15 cms wide, 1.5 cms thick and 10 cms long when shut, 29 cms long when opened. We offer gift wrap ( £2) - tissue paper and ribbon.